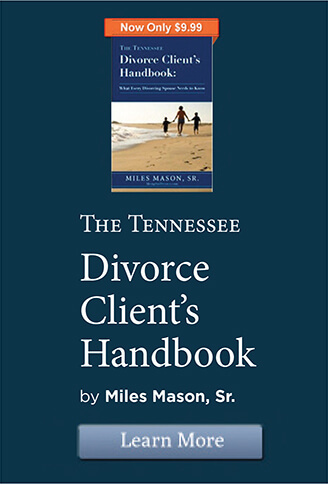 Navigating basic court procedure in Tennessee: filing a complaint for divorce, service of process, jurisdiction, venue, discovery, negotiations, settlement, mediation, trial & appeal. Hi. My name is Miles Mason. 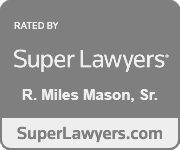 I’m a divorce attorney and the founder of the Miles Mason Family Law Group. 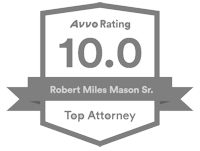 We represent clients in the greater Memphis, Collierville, Germantown, and Bartlett, Tennessee, areas in addition to Tipton and Fayette counties. No one should blindly jump into divorce. Divorce is a lawsuit like no other. You need to prepare for every phase of the case. Being prepared means educating yourself on the court proceedings involved. That’s how you ensure the best possible outcome, for you and your children. In this talk, I explain basic court procedure. I’ve broken it down into 5 phases. Substantive law determines the rights and responsibilities of the parties. Procedural law refers to the rules of practice – how each party presents his or her case to the court. Procedural rules aren’t recommended form, they’re mandatory form. In a divorce, the rules mandate who can file, when to file, where to file, what to file, how to serve notice on the other party, how hearings are noticed and proceed, how to conduct a trial, how appeals are taken, and how court orders are enforced. Procedure is about form and due process. The rules are very complex and easy to misconstrue. There are state statutes, rules of civil procedure applicable to all Tennessee courts, and local rules of practice. Family lawyers spend their entire careers studying the nuances of court procedure. Experience matters. You may not be an attorney, but you’ll be held to the same standard if you represent yourself in court. Any failure to follow the required procedure will almost certainly damage your case. You could even be ordered to pay your spouse’s attorneys fees, along with other sanctions, for not following procedure. Remember that every divorce is different. Some divorces require proceedings that others simply do not. For example, some spouses have children, some don’t. Court proceedings associated with determining child custody and support, then, have no application to the childless couple. Okay. Let’s talk about basic court procedure in Tennessee. Pleadings and Service of Process. Phase 1. The divorce lawsuit begins when one spouse, the Plaintiff, files a Complaint for Divorce and pays the filing fee. The Complaint for Divorce is the initial pleading. It sets forth the grounds for divorce, statistical information about the marriage, and the requested relief. The Complaint is filed with the Clerk of the Court, who then issues a Summons. Both the Complaint and Summons must be served on the other spouse. Service of Process is usually by private process server or Sheriff’s Deputy. Service by Mail is a possible alternative. If the other spouse will cooperate. The divorce papers are mailed to the other spouse (or his attorney), who then signs the Waiver of Service of Process, and acknowledges receipt of the lawsuit by mail. Now it’s the other spouse’s turn, the defendant’s turn, to offer affirmative defenses and raise allegations. The Defendant files an Answer and may also file a Counter-complaint. The Defendant asks the court to dismiss the Plaintiff’s complaint so the Defendant’s counter-complaint can go forward. There’s also the Automatic Injunction. When the original Complaint is filed, a temporary automatic injunction goes into effect against both spouses. The injunction has the same force of law as a court order. Among other things, it prevents the sale or transfer of certain assets. Violating the Automatic Injunction could result in jail for contempt of court. Phase 2. Jurisdiction and Venue. That’s the court’s authority to hear the case and enter binding orders. 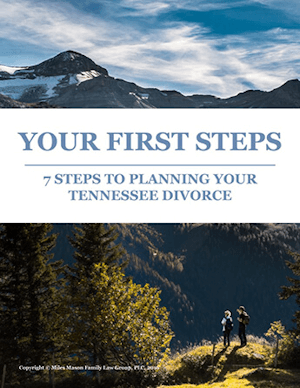 With divorce, the Tennessee court’s jurisdiction must extend to the subject matter, the parties, the children, and the property. Lack of jurisdiction will result in the case being rejected or dismissed. There are no other options. To establish jurisdiction, any military service member stationed here for a year or more is presumed to be a resident, absent clear and convincing evidence to the contrary. For the Tennessee court to assert jurisdiction over minor children, the Uniform Child Custody Jurisdiction and Enforcement Act, or UCCJEA, must be satisfied. Given how complex the UCCJEA is, that is no small task. It’s beyond the scope of today’s discussion, but you should consult an experienced family lawyer about how the UCCJEA applies to your child custody matter. Venue refers to where the divorce should proceed within the State of Tennessee. There are several venue possibilities in Chancery Court or Circuit Court, or other court with jurisdiction. Most divorces are filed where the spouses last lived together. But if both have moved away, the Plaintiff can file in the county where he or she now lives. Unlike jurisdiction, it’s possible to get the venue changed under certain circumstances. The third phase of Tennessee divorce is Discovery. Interrogatories are a set of written questions to be answered by the party while under oath. Requests for Production of Documents ask a party to turn over certain documents, records, and things. Requests for Admission ask a party to respond by admitting or denying the truth of fact-specific statements. A subpoena is a Court Order to produce documents or appear and testify. A deposition is an oral examination or written examination of a witness under oath. A Physical or Mental Examination is a process by which, upon motion, requests that the court order a party (or a child) to submit to physical or mental examination. In your divorce, expect discovery to start with interrogatories and requests for production of documents. Before I go any further, you need to understand that spouses can negotiate a settlement at any time in the divorce process. If every issue in the divorce is settled, there will be no trial. The result is a Marital Dissolution Agreement. Some spouses will have agreed upon a settlement agreement before the Complaint for Divorce is even filed. Others negotiate while divorce proceedings are ongoing. Many spouses will also attend mediation. The objective is to resolve as many disputes as possible without the need for trial. Settlement will almost always be more favorable than the outcome of a contested trial. It’s been my experience as a divorce attorney that there is never a wrong time to negotiate, mediate, or reach a settlement. When settlement is not possible, the case continues to trial. Only the outstanding issues are decided by the judge at trial. For example, the spouses settled on a parenting plan, but still disagree on the division of retirement assets. In that example, the only issue on the trial agenda would be the pension division. Trials are costly. Emotionally and financially. Experienced divorce attorneys spend substantial time and effort on pre-trial preparation. Hire and prepare expert witnesses for valuations and other expert testimony. Prepare for direct and cross-examination of parties and witnesses. Prepare opening and closing statements. Prepare the client for testifying. Organize the file and trial exhibits. Research legal issues unique to the case. And research appellate cases with specific facts and legal issues similar to the present case. It is a big job. Trial preparation has to be done really well for the best possible result. Nothing should be left to chance. Then there is the actual trial. It can take a day, it can take several weeks. At trial, ordinarily the Plaintiff’s lawyer speaks first, then defendant’s lawyer. The plaintiff’s lawyer puts on proof, calls witnesses, introduces documents and items into evidence. The defendant’s lawyer follows, doing the same. The plaintiff’s lawyer may have an opportunity for limited rebuttal, after which the judge may allow closing statements from the lawyers. Then the judge rules on the case. On the arguments and evidence presented at trial, the judge can rule immediately after closing statements. Often, though, the judge will take the matter under advisement and issue a written opinion later, waiting days or weeks for the court’s decision is stressful. Who will be granted a divorce and on what grounds. Who will be granted Primary Residential Parent status. How residential time with the children will be allocated. How marital assets and debts will be divided. Whether temporary or permanent alimony will be awarded. How much child support will be ordered. Whether attorney’s fees will be awarded. And who will be assessed the court costs. The judge’s decision on these matters is final. If either party is dissatisfied with the result, he or she has a right of appeal. The court rules allow 30 days to file a Notice of Appeal. Sometimes both parties file a Notice of Appeal. Appeal is the last phase of basic Tennessee court procedure. Appeal from the trial court’s ruling is to the Tennessee Court of Appeals. To prevail on appeal, the appellate court must be convinced that the trial judge made a mistake of law. Review by the Court of Appeals can take anywhere from 8 to 18 months. Its decision could take another 9 to 12 months. If a party finds that decision unsatisfactory, there’s one more chance for appeal. A party can request review by the Supreme Court of Tennessee. The Supreme Court’s review is discretionary, though. And most cases will be rejected. As it is, the Supreme Court usually hears less than 10 family law cases each year. If the case is accepted for review by the Supreme Court, then that appeal will add another 12 to 18 months to the case. Trials and appeals are very costly and add months, years to the process. Always consult an experienced family lawyer about your Tennessee divorce.